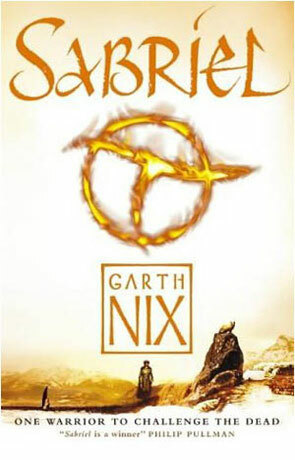 Sabriel is a young adult fantasy novel written by Garth Nix and is the first volume in the Old Kingdom series. The Old Kingdom is a land where magic is common and spirits roam freely (a fact denied by the government). Outside of the Old Kingdom lies Ancelstierre, which has a technology level and society similar to that of early-20th century England. Sabriel is the daughter of the Mage Abhorsen, who is tasked with protecting the living from the dead by putting the dead to rest. Living outside the Kingdom, Sabriel is learning to follow in her fathers footsteps. When her father goes missing, Sabriel must leave her home and school (the only life she has ever known) and cross over into the old kingdom to find him. On her journey to the Old Kingdom she is joined by Mogget, an ancient free magic construct that has taken the form of a white cat, and has been bound by a magic collar to serve the Abhorsen. There has been quite a few stories that have used the premise of fantasy world and modern day world co existing side by side, most notably Phillip Pullmans "His Dark Materials" series, Guy Gavriel Kay's "Fionovar Tapestry" and Stephen Donaldson's adventures of Thomas Covenant. While Garth Nix's series follows the same premise it takes a slightly different path, the world of Ancelstierre isn't earth and Sabriel's school teaches magic and the portal to the old world is guarded by people with Swords etc. What makes this series even more unique however is Garth's vivid realisation of Death. Described in excellent detail of the path a soul takes when it is cut from it's mortal flesh, as it travels through the river of death and through the Gates before the soul is truly gone. Between all these Gates are the dead souls of creatures of evil, and creatures of power, who can sometimes resist the flow of the river and even come back through the Gates (eventually back into the Land of the living). This story works really well, Garth's detailed yet easy to follow explanation of magic is a joy to read while Sabriel is a strong mature female lead character who still manages to retain a sense of adolescence. Garth's style of writing is very fresh and he maintains a very good pace to the story. All in all a very fine achievement and very enjoyable. Written on 16th September 2009 by Ant.